This specific recipe is extra exciting because I think this is the real first skillet recipe I’ve posted!? I’m so behind the times. Also for me, it’s extra extra special because this skillet belonged to my grandmother. A few weeks ago, I made these s’mores cookies from the lovely Rachel of Bakerita. I don’t make cookies very often because I can never get them to turn out right, you know, with the soft center and crisp edges. But those cookies came out perfectly. Perfectly! They were so good and highly addictive. After I made those cookies, I started trying to think of a way I could make my own version. Since I’m s’mores obsessed and all. What a great time to use my newly acquired skillet! I’ve gotta say, skillet cookies? 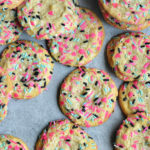 So much better than regular cookies. 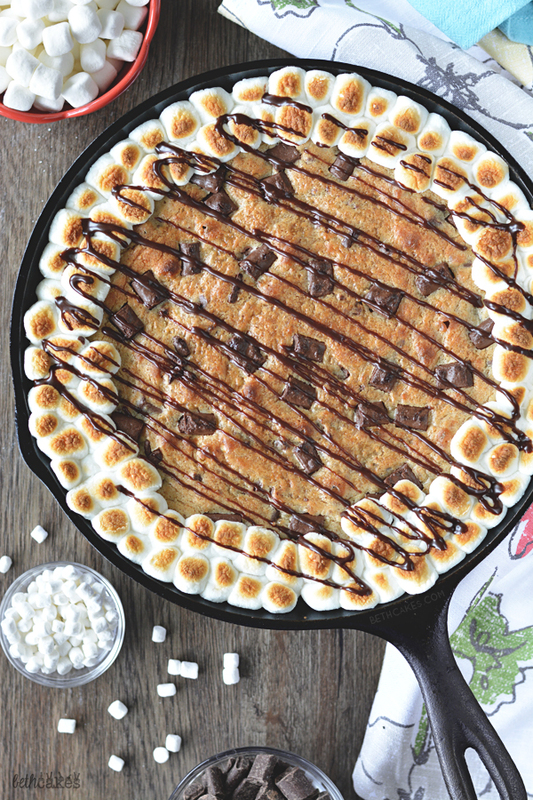 This S’mores Skillet Cookie starts with a graham cracker crust in the bottom. Next is the cookie dough, which is filled with chocolate chunks, some graham cracker crumbs, and tiny marshmallows. The marshmallows in the dough are the extra-mini ones you usually see in packets of hot chocolate. (I found them at Target, but I’m considering them optional here because there are some bigger marshmallows on top too. Really it just depends on if you want to buy two kinds of marshmallows.) Toppings include toasted marshmallows (duh) and a nice drizzle of ganache. 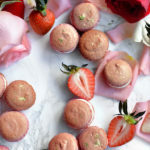 Typically I take things that I bake for the blog to work the next day so they don’t sit in my apartment and tempt me. 😉 This was the first thing I brought to my new job and I think it was a hit! Mix the graham cracker crumbs and melted butter in a bowl and stir until all the crumbs are coated. Press into the bottom of a cast iron skillet and set aside. In the bowl of a stand mixer, mix butter and both sugars on medium speed until fluffy. Add the eggs and vanilla, and mix well. Next, add the salt, baking soda, flour, and graham cracker crumbs. Mix on low speed at first, until ingredients are mostly combined, and then mix on medium speed until completely incorporated. Stir in chocolate chunks and marshmallow bits, if using. 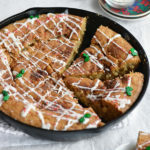 Spread cookie dough on top of the graham cracker crust in the cast iron skillet. Sprinkle with more chocolate chunks. Bake for 25-30 minutes, or until slightly golden-brown on top. Remove from the oven and turn on the broiler. Add mini marshmallows on top of the cookie. (I only put them around the edges, but you can cover the whole thing if you want!) Place the skillet back in the oven for about 40 seconds, or until the marshmallows are toasted. Stand at your oven and watch the marshmallows because they brown quickly and will burn easily. Remove the skillet from the oven and let it cool. Place chocolate chips and heavy cream in a microwave-safe bowl and heat for about 30 seconds. Stir and microwave for another 15 seconds. Stir the mixture until it becomes smooth and there are no lumps. 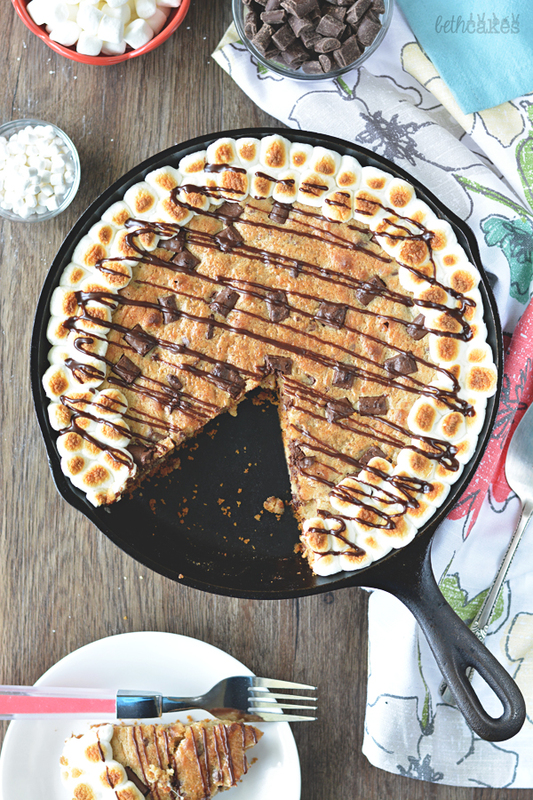 Drizzle ganache over skillet cookie. Best served warm! Let your s’more obsession hang out. I’m ready! These skillet cookie is incredible! Thanks Liz! More s’mores to come! Thanks for pinning, Medha! The toasted marshmallow are my fave! Oh my goodness, this is my s’mores cookies taken to the max!! I totally need to try your version because skillet cookies can do no wrong, and yours looks ridiculously delicious!! 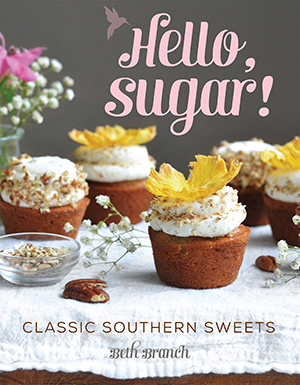 Pinning, and majorly swooning. Yasss, Rachel, your s’mores cookies were so good, I couldn’t stop thinking about them. 🙂 Thanks for pinning! Been drooling over this all day, swear I’ve put on 5 pounds just looking at it; it looks absolutely awesome! Oh my goodness, dad has put in an order for this for Father’s Day! Totally and completely obsessed with s’mores! 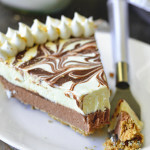 Now I’m embarrassed that I don’t have any s’mores recipes up yet! Well there’s still plenty of time! 🙂 Thanks, Ashley! 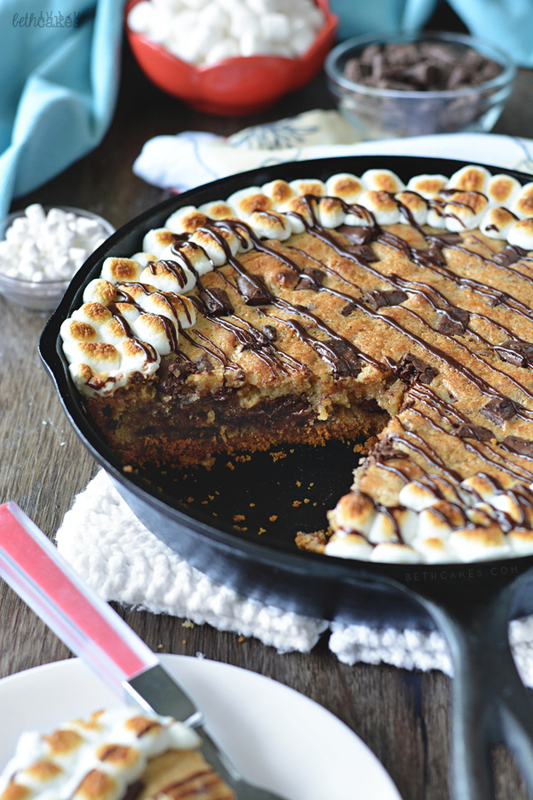 Whoa, this is one incredible looking skillet cookie! This looks just perfect! 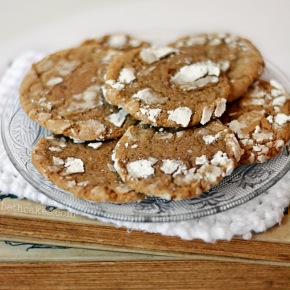 And yes, skillet cookies are much better than regular cookies – they’re so comforting! My goodness, this is the best thing I have seen all day! 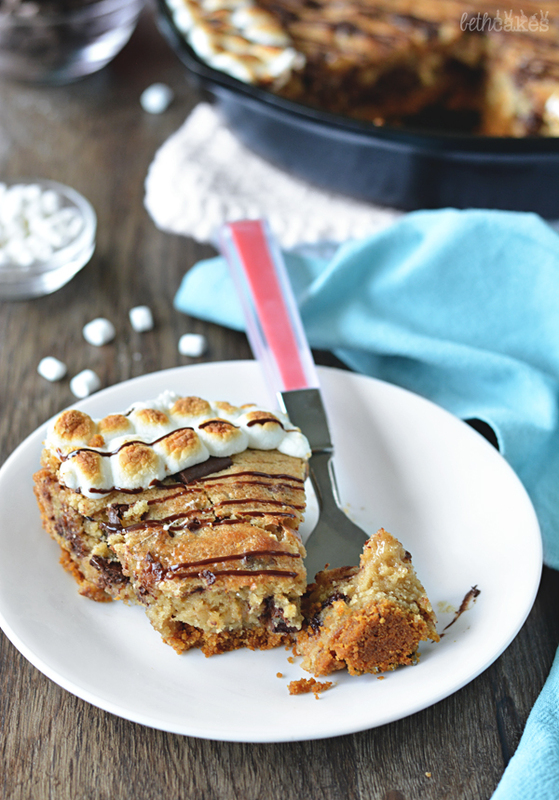 What could be better than a cookie in s’mores form?! 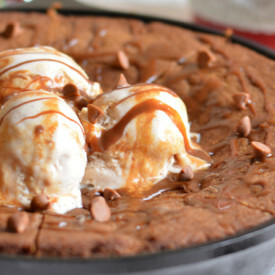 I know I will be thinking of this skillet cookie until I decided to make it, so I better make it soon! I am addicted to skillet recipes!! This one is gooey fabulous! Fun! 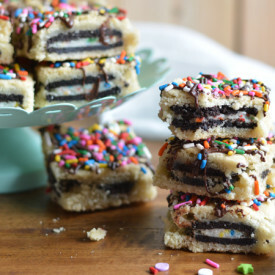 I could eat slice after slice of this yummy cookie! Just made this and it was delicious. Too hot in our New England kitchen so we put it in a cast iron skillet on the grill and it turned out so melty, buttery and crispy. We look forward to trying your other items.